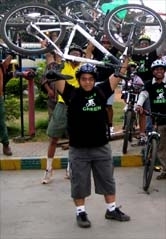 Go Green Group supporting BSA Cyclothon - 2011 - GGI-Group size: 4000+ Professionals, Increasing on day to day basis, Come & join us 2 serve Mother Nature. · Assembly Point – Karnataka Trade Promotion Organization, (KTPO), Plot No. 121 Export Promotion Industrial Park, White Field, Bengaluru – 560 048. The National Elite Men Race is a competitive race by CFI invitation only. Participants of this category compete for prize money. This is a non-competitive ride for children from the age of 8 years to 13 years. 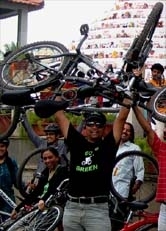 A parent or guardian needs to register himself/herself along with the child (or group of children, as the case may be) and also accompany the child/group during the ride on the Event Day. Click on the below link that takes u directly to Online Registration. 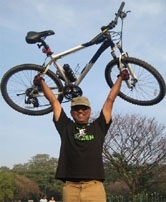 1)U can register by paying online through book my show or else u can drop in At EXPO (The Lalit Ashok,) on 21st and 22nd January 2011 & get your self registered.